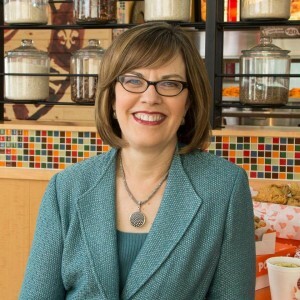 Cheryl Bachelder is a passionate restaurant industry executive who recently retired from serving as the CEO Popeyes® Louisiana Kitchen, Inc. Cheryl is known for her crisp strategic thinking, franchisee-focused approach, superior financial performance and the development of outstanding leaders and teams. Mentoring develops the competence and character of the next generation leader. There is no more important role for a leader than to prepare the next leader well. Describe your role as a mentor? My role is to ask the right questions of the mentee, so that they discover the answers themselves. This is hard to do. All of us prefer giving advice to thoughtfully preparing the right questions for our mentees. Stop worrying about what others think. Develop a true sense of your strengths and beliefs, then apply them to the work opportunities in front of you. A quote by Max Stackhouse: “Increasingly business leaders will be the stewards of civilization.” That motivates me to focus on developing next generation leaders. We often focus on mentoring people that don’t work on our team. I urge you to mentor the people that work for you too. They are looking to you for growth and development. Don’t let them down. Prepare well for your mentoring opportunities. Set an agenda. Put forth the areas where you need the mentor to contribute. Respect the time that they have dedicated to you. What have you learned from a mentee? I am always looking to learn from the mentee. The one thing I’ve learned recently from a mentee is the power of being self-disciplined about health and well-being. Your own cup must be full to overflowing if you hope to lead others. A quiet retreat at a farm house called Bethany’s Rest. Stillness is a powerful tool for regaining perspective. Be fully present in the time you spend with your mentee. No distractions. A gift to be treasured.